GPower Pro: The Power Screen, Revamped! - iPhone.MY - Daily News On Mac, iPhone, iPads, iPods and more! GPower Pro: The Power Screen, Revamped! 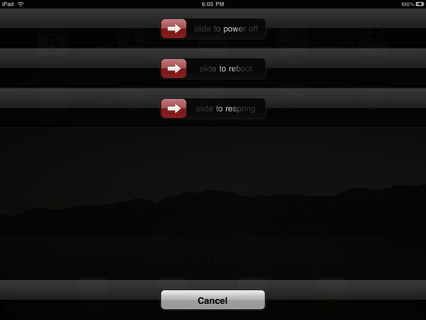 New day, new tweak in Cydia: GPower Pro. Easily perform commonly needed power operations not normally available from the power down screen. With new options to reboot your device and restart SpringBoard, you can get yourself out of jams, freezes or whatever your use may be. GPower Pro is integrated so seamlessly into iOS that you may just use it for the fun and beauty of it. It directly alters the default power down screen and even lets your change how you invoke it, with activator in the Settings.app . It was written to integrate into the operating system the way Apple would do it, to give you the best experience. GPower Pro currently supports ALL iOS devices and ALL firmware versions. iOS 4.3.1 Untethered Jailbreak Launching Time!